Playing together is more fun than playing on your own! That’s why we now have the BERG Duo Chopper BF. 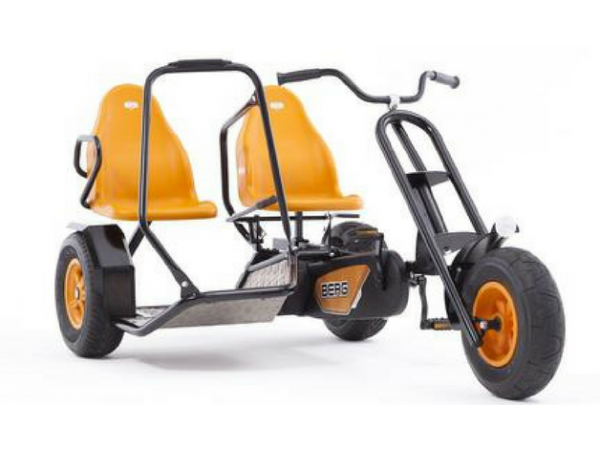 This cool go-kart has two seats so that two people can tear around on this go-kart. 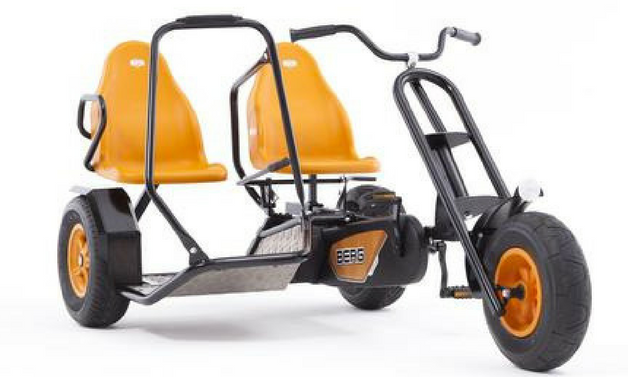 The co-rider’s seat can be removed so that the co-rider can stand on the platform and lean into the corners. 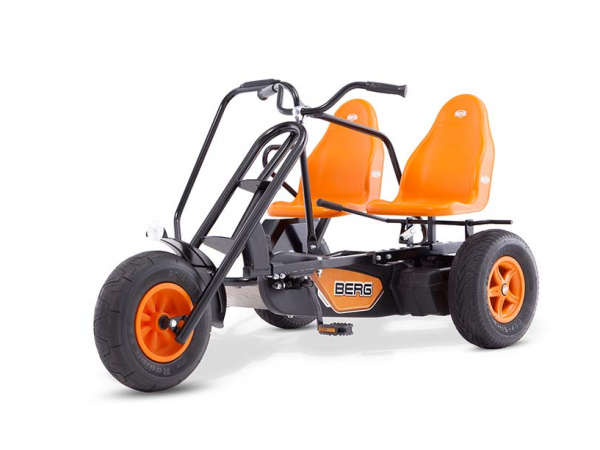 The BERG Duo Chopper BF is extremely manoeuvrable due to the small turning circle while the pneumatic tyres make it very comfortable to ride. 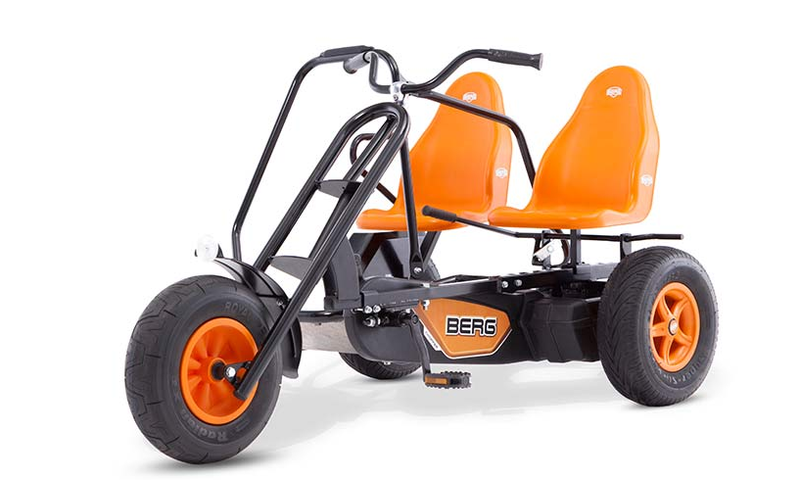 This go-kart is suitable for children from the age of 5.